And It’s Andre’s EVO IX For The Win! Andre was in the shop the other day for some service work and sporting his RRE license plate frame. 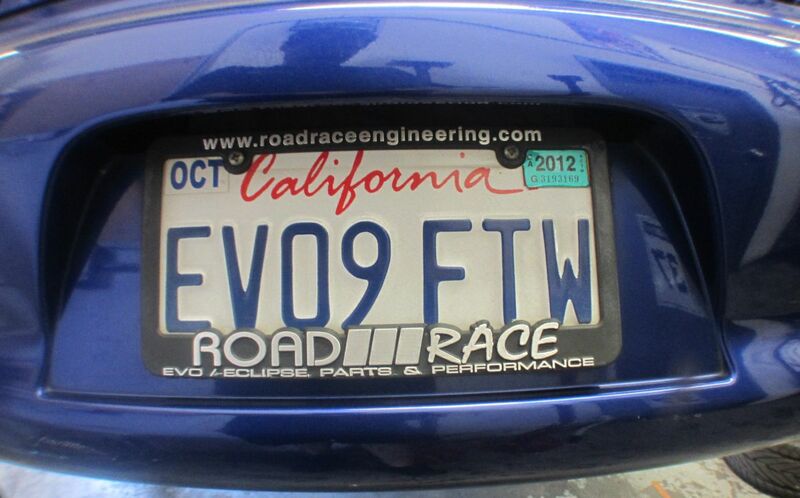 Here is a pic of his new personalized license plate on his super clean Electric Blue EVO IX. This entry was posted on September 19, 2012. It was filed under Blog and was tagged with Customer Cars, License Plates.